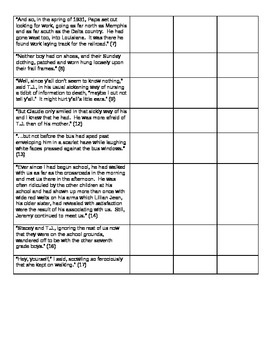 For these two activities students will read the provided quotes from Chapter 1 and Chapter 4 to infer a character trait that is developed in the quote. 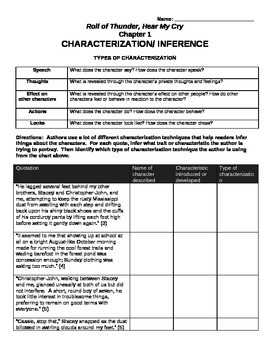 Students then must identify which kind of characterization technique the author is using. This activity helps students work on inference and characterization. It will also help them analyze and get to know the characters better, which is important at the beginning of the novel. If you like this product, see my other activities for Roll of Thunder, Hear My Cry.